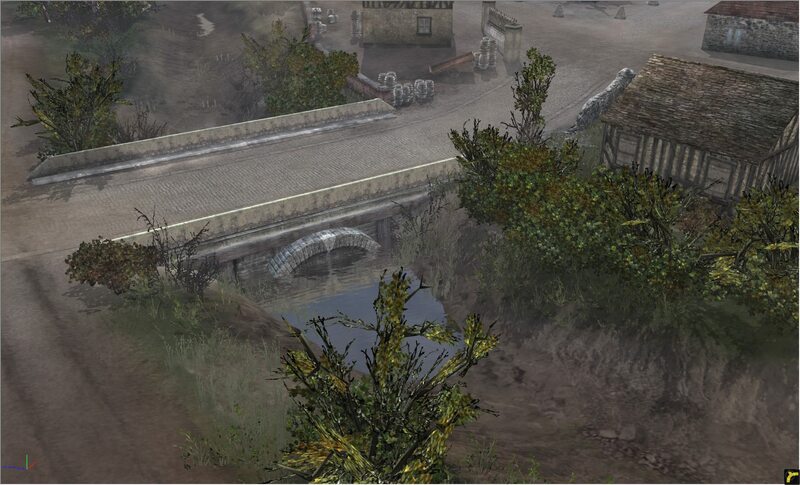 I have edited one of the well know bk-maps "Trun", since it didn't have love because it was considerated a "bridge map", so i hope it becomes more popular, expect new pasable terrains, no bridges, new fuel/ammo points. I will upload the link later at mediafire , so for now a 48 hs link. Last edited by mofetagalactica on 05 Oct 2017, 22:05, edited 1 time in total. Could you add some screenshots to show off the changes? Kr0noZ wrote: Could you add some screenshots to show off the changes? Last edited by mofetagalactica on 05 Oct 2017, 22:54, edited 2 times in total. 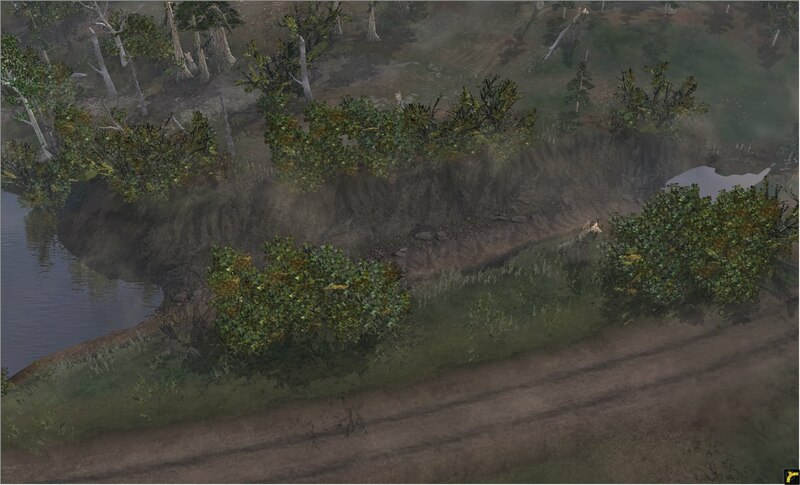 Looks good, most importantly as I told you on Steam.. make sure bridges and mortar bunkers are all removed... This would be so great, I can see you are actually doing some good progress! I will also test it soon, and see if there is any technical issues that I could fix. I would also have to hint Playmobill about it so he could have a look. This way Bk could literally get brand new maps and map revisions frequently enough when it's finally on Steam! No more boring over played maps. This looks great actually.. only problem i saw with this map, apart from the river, was that bases were so close to each other and maybe needed to be relocated. I'll try to test it when you're done and see how it works. Thanks for putting your efforts in this btw! I agree with Toni, if you know how to expand bases, try to do it. a good test for base size is AI and PE buildings: if AI can fit all the PE buildings, then its perfect. 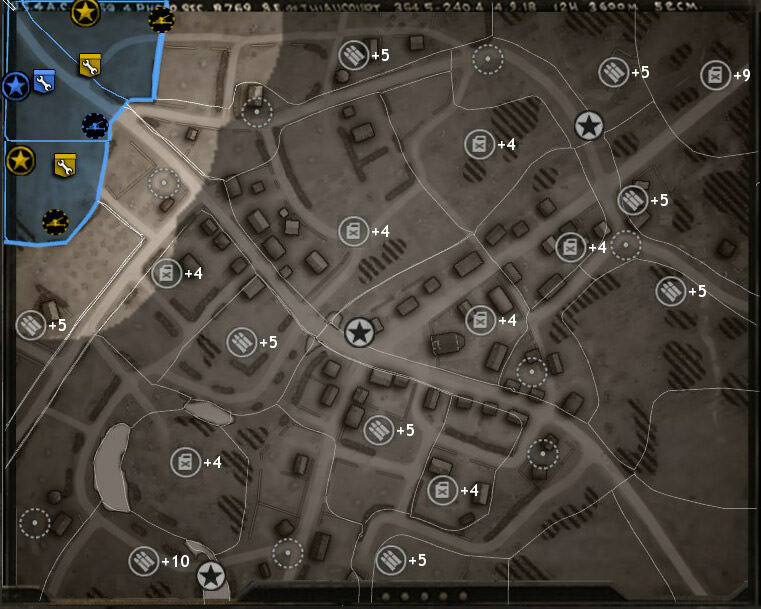 sgtToni95 wrote: This looks great actually.. only problem i saw with this map, apart from the river, was that bases were so close to each other and maybe needed to be relocated. I'll try to test it when you're done and see how it works. Playmobill wrote: Looks promissing ! MMm i can try making something like this, Red is moving base to location, and green is re-making the zone. Not sure moving spawns is the best solution. You could for example reduce the part of these forest (that you marked in red), using smaller rectangular chunks of forest instead of the big square ones. Then you would only have to extend the painting of base sectors to the new avaliable terrains. As these kind of forest are made to be impassible, you dont care if they are big or thin. Also, at the very border of the map, the forest is overlapping on spawns, you can make it so most of the forest stops more or less at the map borders limit, that will grab a bit more terrain for buildings (If necessary use the same kind of forest chunk out of bounds if its not already already the case). Let me know if this is unclear. I also did few other tweaks, as I am willing to send the files of this map as well as Neuville and also Benedictine Cider all to Wolf, so that we could have all the 3 of them on the next Steam release.. but first I need to do some further tweaks on those maps together with Playmobill. Created by Snowstorm... And it's not a workshop map. Neuville however is a workshop map made by someone called Skaffa, yes. Nonetheless, this guy though for some reason only assigned strategic points on his map! So the map has absolutely zero ammo and fuel points. 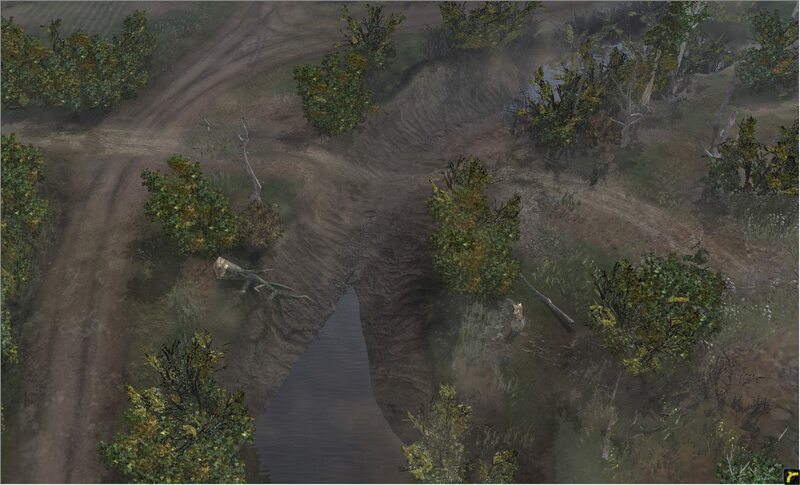 'Working on this map since last week, and there is a still a lot of work before i validate it for publishing in patch. Remaining ponds from dry rivers are kept, but now integrated to the dry riverbed. Spline and Splats adjustments here and there. However, a big part remains, the sectors and its layout. Both sector placement and sector painting need work. IMPORTANT NOTE for all Map Makers : when modifying any map, do NOT press the 'Calculate Voronoi' button in TER! Voronoi algorithm should ONLY be used at map CREATION. when porting / revising a map, never use it! Instead, you can add new sectors under new points with the "Add territory under new Points" button, it works great, just remember to not just 'swap' sectors, instead, delete old points then place fresh new point where you wanted the modification, otherwise the ID of the old Point item will still remain associated with it's sector painted area. So, if you use newly created points, when you want to swap 2 points when modifying a map, then the 'Add new territory' button will attribute the old sector(s) to the new Point(s) that you freshly created on it (ofc if you removed the old point of that sector before). Note that this trick also works with Base sectors. Nice work with the riverbeds! this is looking good thanks playmobil and tiger, btw have u also edited the top part of the map? i would like to see some screenshoots if u added something. Play i wonder if you can make some-kind of tutorial since i still don't know how to make "bridges" functional like you made in the first pic. 2 - Place Support walls splines ( ebps > environment > objects > support > harbour_l_01 ). Make sure you untick "Adjustable to terrain" box. 3 - place a tunnel entrance to pretend there is an arch under it ebps > environment > objects > water_features > culver_04 (the tunnel entrance model has a fence but in our case it will be underwater). 4 - Add Bridge Walls on top of the support walls ( ebps > environment > objects > walls > bridgewalls > any suitable wall model ). Still without using "Adjustable to terrain". 5 - add water sources if you want to hide the fences (optionnal). Thanks, and what about those small bridges where only infantry can pass? Cause i dont see any ground below them, being suspended in the air instead. Edit: Some modifications here and there are to be expected after playtests. VPs for ex have already been moved (especialy the north one) to be at equal distance from each side's HQs. A cpl of hedges have been moved/removed aswell. Looking good can't wait to play it until they put it in the new patch or something.